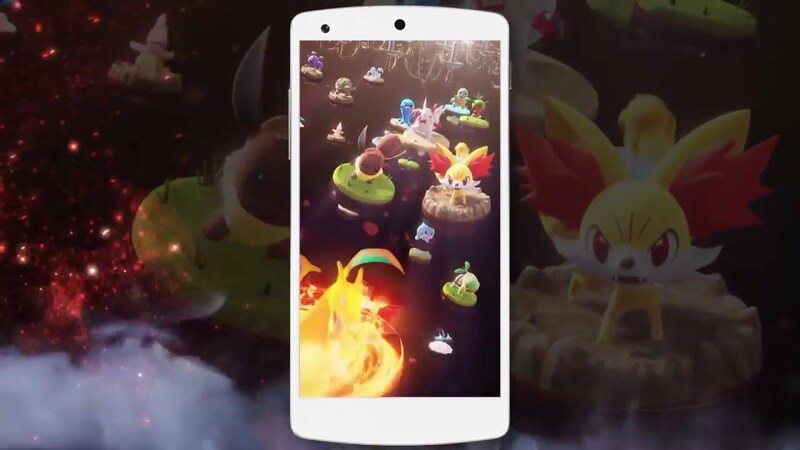 Pokemon Go is still on the horizon, but this one looks awesome too! Pokemon Go might be the hot property right now, but there's another mobile Pokemon game on the horizon that's probably going to make a splash once it reaches US shores. It's called Pokemon Komaster, and we covered it not long ago here at Modojo when its first teaser trailer was released. It's finally got its own official trailer and announcement for Japan, and we know a little bit more about it. Hey, that's always good! Pokemon Komaster has you placing Pokemon on a special board while you battle against your opponent's monsters. There are several collectible figures for you to pick up along the way with their own rarity indexes, special attributes, and more. It's obviously going to be a free-to-play game as well, with a structure similar to that of collectible card games. Unfortunately, it looks like the game hasn't yet been greenlit for a Western release, and it could possibly never. But knowing Pokemon and how the rest of the games have slowly but surely been released (except the next TCG, what's up with that?) we'll likely hear something about it after its inevitable Japanese release. Hopefully. Please.